If you were born with your SUN in SCORPIO, you enjoy looking at what?s beneath the surface when it comes to people and situations.? You?re usually fascinated with researching hidden information and don?t settle for an explanation that seems like a ?cover up.?? You?re a great help to others who have trouble understanding their emotions or accepting the truth, but sometimes your probing nature can come across as too intense. It?s helpful to realize that others are likely to be receptive to your insights if your delivery is loving and non-judgmental.? You?re a shrewd negotiator and won?t tolerate underhanded dealings.? If you have to choose between compromising your principles and going it alone, you?ll choose the latter every time. The year of 2015 promises to be a year of personal empowerment with possible advancement or recognition in your career.? Several of the themes from last year will continue, including your desire to have more freedom in your schedule and establish more authentic connections with others.? You?ll likely discover that you?re at your best when you can take charge of your time.? This could mean a job change or seeking a position that allows you to work more autonomously.? This doesn?t mean you?ll be a ?lone wolf,? however. Teamwork and collaboration is still a strong theme for most of the year.? You will likely seek a structure that allows you to manage your piece of a larger group effort.? It?s also a strong year for creativity and listening to your intuition.? Over the summer, you could rework some of the personal goals you established last year. PLUTO, ruler of Scorpio, in Capricorn, continues to sextile your Sun in 2015 helping you to access your sense of personal power.? Opportunities will come your way this year for personal empowerment: either financially, in business, or in personal relationships.? You?ll have a knack for making the right connections and making the most of your day-to-day interactions. ?It will be up to you to take advantage of the opportunities you see for progress since the avenues you see will require some effort on your part.? They won?t just ?come to you.?? If you go forward, you can take the steps to a major success. It can feel as if you are a chess player thinking several moves ahead which can give you an edge in business.? Others may be drawn to your confident leadership which can help you to make valuable allies.? Scorpios born November 5 ? 8 will feel the most in touch with their inner power. URANUS, in Aries, continues to square Pluto in 2015 and a revolutionary mood can be felt throughout the world.? For Scorpios, you may feel the call for change on a personal level and wish to have more freedom in your life.? Taking charge of your time can be an excellent way to feel liberated from feelings of oppression.? It can be important for you to find work that allows you to work more autonomously and have a flexible schedule. Your heart is longing for activities that bring you joy, but you must make time for them in your life!? In addition, this can be a powerful year to improve your physical wellbeing.? By reclaiming your body, you can feel more vibrant and alive.? It?s fantastic timing to engage in a new type of physical activity that inspires you.? Scorpios born November 5 ? November 13 are in line for the biggest changes in the areas of work, daily routines and health. 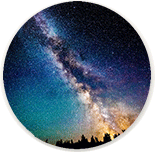 SATURN will be in Sagittarius, and your 2nd house of finances, for most of 2015.? It?s a good year to grow your savings account or make a financial plan.? Saturn?s energy will combine optimism with practicality to help you find a risk level you are comfortable with for investments or other moneymaking opportunities.? When in doubt, ask yourself if the situation you are considering appears to be giving you something for very little effort on your part. ?If the answer is yes, beware!? Your path to success this year will be through slow and steady diligence. Opportunities could arise that ask you to stretch your abilities and learn along the way.? As long as there is the chance for you to work your way to the top, you are well positioned for financial gain. This summer, from mid-June through mid-September, Saturn will Retrograde back into your Sun Sign.? This may be a time when you revisit some of the personal goals you set in 2014 and make necessary adjustments.? Scorpios born November 20-22 will feel the greatest effects of Saturn?s return to their Sun Sign over the summer. NEPTUNE continues to travel through Pisces in 2015, forming a harmonious trine to your Scorpio Sun!? This is a great year for creative ventures as you will likely be infused with inspiration.? Romantic relationships can take on a dream-like feel which can help you to open your heart to love.? It will be important to express your creative life force through a medium of your choice. Spending time in and around water can help you to feel revitalized and connected to a Higher Power.? This year highlights the opportunity to progress in your spiritual life: prayer, meditation, music, inspirational poetry, are all ways for attuning yourself to a higher, mystic frequency.? Scorpios born October 29 ? November 2 will be feeling the greatest flow of creativity and love from the Universe. JUPITER will be in Leo through August 11, conjunct your Midheaven.? This is a fortuitous placement for career goals and gaining public recognition.? From August 12 through the end of the year, Jupiter moves into Virgo and forms a favorable sextile with your Sun.? Good luck and opportunities are likely to come your way through your network of friends. Be willing to work for what you want and don?t be afraid to take on leadership roles and responsibilities.? A big part of you is craving freedom, but your path to a life that feels more vibrant and alive will involve conscious effort on your part.? Collaboration will be important this year.? A cooperative spirit is scheduled to be more successful than trying to ?go it on your own.? The big change for you will occur when you are spending your valuable time and energy on endeavors that ignite your passions and feed your soul.? Freedom to do your own thing can be earned through consistent effort, listening to your intuition and some good luck along the way. Teamwork and groups will be a strong part of your path to success.? It?s likely you?ll play several different roles throughout the year, including team leader, equal partner and support crew.? This doesn?t mean you won?t pursue your individual desires.? It simply indicates the need for interconnectedness and exchanging uplifting energy with others. The more you can encourage someone else to follow their heart, the better you will feel.? It?s possible you?ll end up leading by example and inspire others with the way you are creating the life you?ve dreamed of.? Partnerships will be especially important through mid-November.? From mid-November to the end of the year, you may find yourself gravitating towards larger groups.